Whether your business is located in Chicago or Houston, or if it’s a national company that delivers goods from New York to California, you should always be able to tell exactly where each of your vehicles are located at any given time. GPS tracking solutions from Skypatrol uses satellite signals in order to provide exact locations, if a vehicle is running, what speed it’s going, if it’s on the right route, and more. With this information, essential communication will improve, allowing you to provide better service for your customers or clients. If there is a history of car accidents in your company, are you able to look into why? It could be that drivers aren’t following the rules of the road. When drivers aren’t following the speed limit, it can significantly increase the risk of accidents — which could potentially increase the cost of your car insurance, not to mention the cost of any injuries that were sustained. With GPS, you will be able to monitor how fast or slow a driver is going. If you find they aren’t driving the speed limit, you can make any necessary corrections. 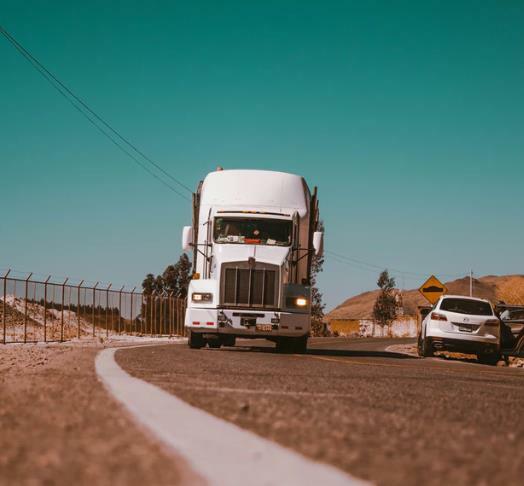 This is especially important for companies that deliver goods, from large freight companies who drive across the state or country to local meal delivery services. GPS tracking solutions from Skypatrol offer you the ability to gather data and receive reports on each driver. This information will give you a direct insight into the service your clients or customers are getting. Are deliveries being made late? Improve your customer service and satisfaction with GPS devices. Bike rentals, taxi services, car dealerships, or limousine services rely on their employees to respect the vehicles they drive and the cars on their lots. If a vehicle is lost or stolen, it’s a huge liability on the company, especially if you don’t end up finding the vehicle. GPS will help you or local authorities find the vehicle, saving you money and potentially help prevent future thefts. A company vehicle should be for company use only, right? 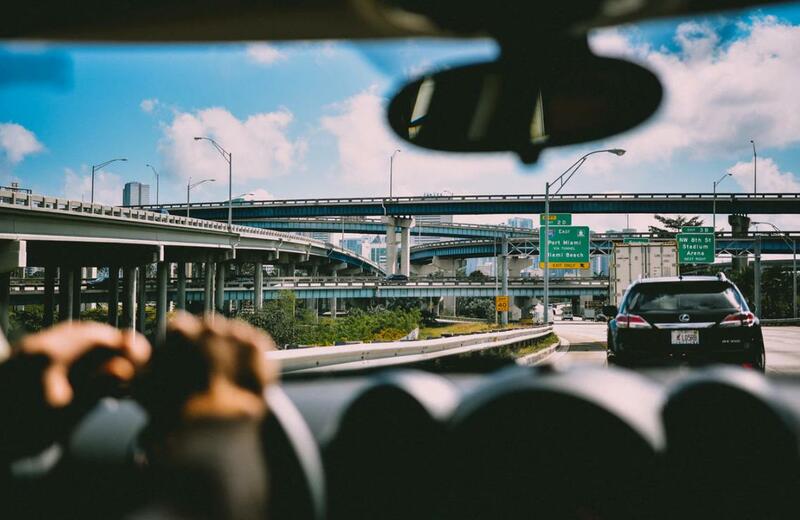 Some companies do provide a car to their employees for both personal and company use, but for the companies who don’t, misuse of the vehicles will increase cost and liability substantially. A car being used after hours will increase fuel costs, and if an accident occurs after hours, medical and repair costs are the responsibility of the company. 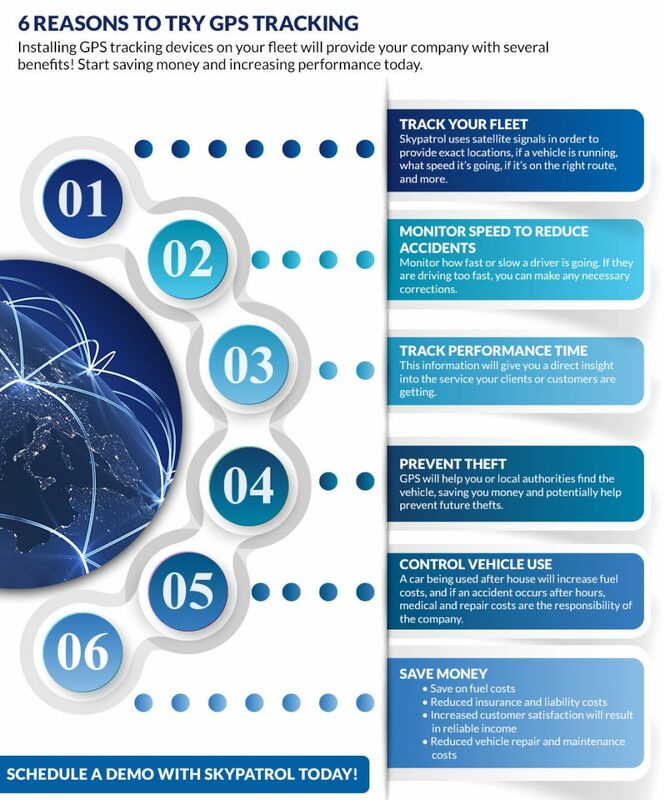 If you have been interested in giving GPS tracking solutions a try in your company, but aren’t convinced of the benefits, get in touch with Skypatrol today. Our team of experienced and knowledgeable staff will ensure that the setup process is quick and smooth, so you can start seeing results faster. Want to see more before you sign up? Call now to schedule a demo!